When people hear “air springs,” they often associate them with automotive, truck and trailer applications. However, air springs, also referred to as air actuators, exist in a number of industrial OEM and MRO environments, as well. Industrial air springs may be found in industries such as: Bulk Material Handling, Packaging, Food/Bev, Pulp/Paper, Auto Assembly, Heavy Machinery Robotics, Industrial Laundry, Forestry/Timber and Aggregate/Mining. What Are The Most Common Applications For Industrial Air Springs? Although they span a variety of industries, air springs have two primary applications in the industrial workplace; They’re used as Air Actuators for Automation and as Vibration Isolators. In many automation and pneumatic applications, air springs are used as actuators to transmit a load or force for tension, lifting and deflection purposes. Some examples include: conveyor stops, lifting tables, and stroke and tilt actuation. ➢ Active Isolation, which employs machine mounts that suppress the transmission of vibration and structure-borne sound to the surroundings. ➢ Passive Isolation, which reduces the effects of vibration by isolating sensitive equipment from the source. For instance, in general manufacturing facilities, air springs can be found in piston-powered machines like air compressors to isolate the vibration from the compressors or motors from the rest of the environment. What Makes An Air Spring? 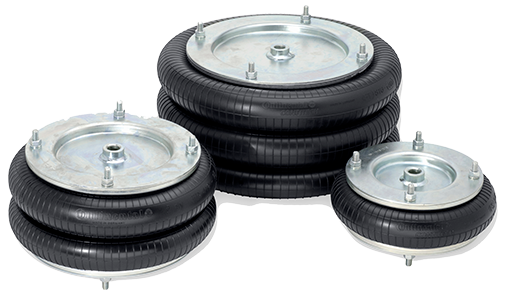 Air springs are designed to provide the load-carrying capacity and spring travel required in a given situation. 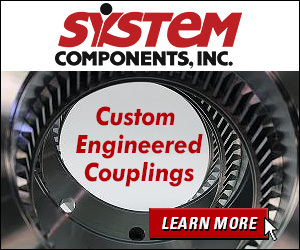 All the individual components, including the bellows, piston and ancillary parts, together yield a perfectly harmonized system, ensuring optimal performance and the greatest possible safety. Industrial air springs are designed to, not only enhance operational performance and safety, but add a number of ergonomic benefits, as well. For example, employees frequently have to deal with high noise levels in machine and plant engineering, caused by machine vibrations. In order to reduce these levels, ContiTech develops customized solutions specifically designed for industrial machine and plant engineering, which effectively compensate for vibrations, insulate noises and reduce tension. Additionally, their belt ring, made of metal bead wire, is molded to the bellow during the vulcanization process, as opposed to after, which can cause issues during operation. 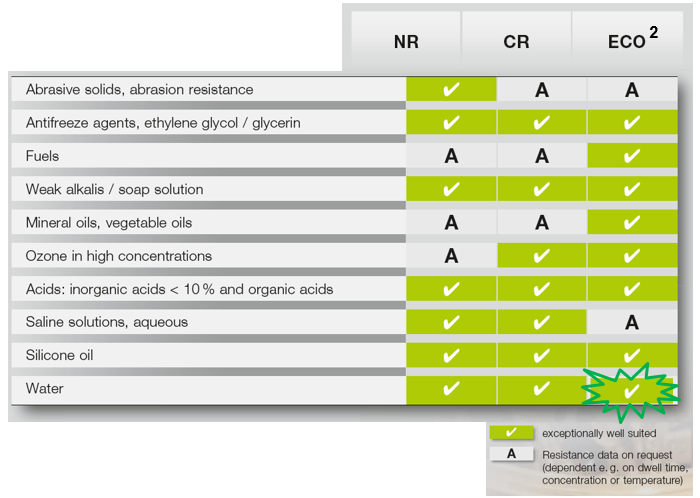 Epichlorohydrin rubber that is ideal for high-temperature applications up to 266º. 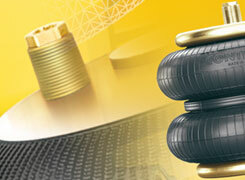 ContiTech is a trusted air spring specialist for all automation and anti-vibration solutions. You can rely on their state-of-the-art production processes to produce top performance, high-quality products time and time again. 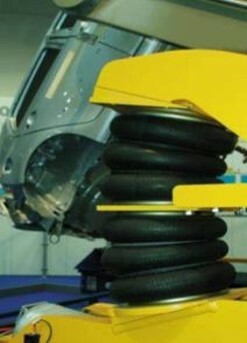 Want To Learn More About Industrial Air Springs? Whether you’re overdue for a replacement, or designing a new system, IBT Industrial Solutions wants to help you select the right ContiTech industrial air springs for your business. We also have industry-wide direct cross-references on-hand so that upgrading your current air springs can be hassle-free. For more information, contact Tim West, IBT’s Industrial Rubber Product Group Director, or give us a call at 913-677-3151 today!